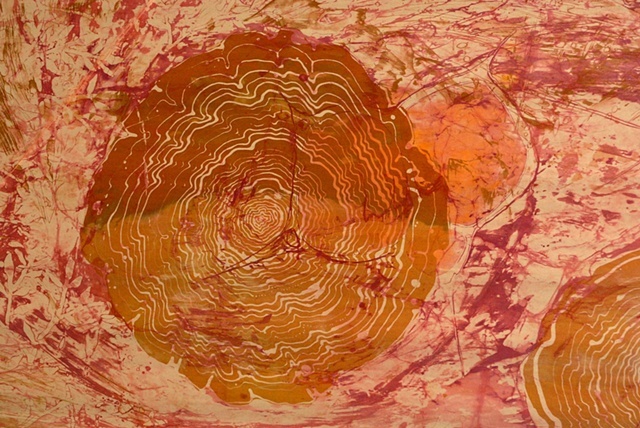 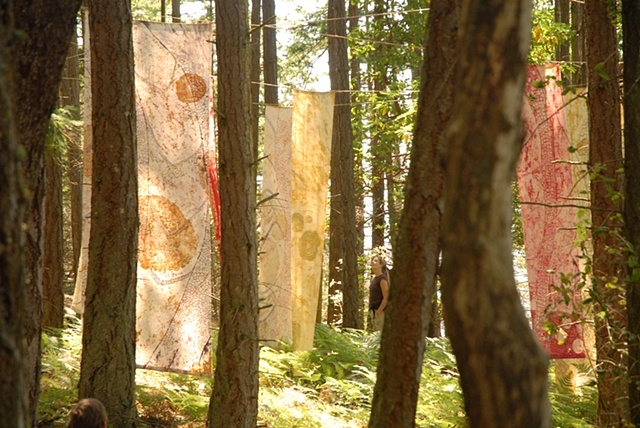 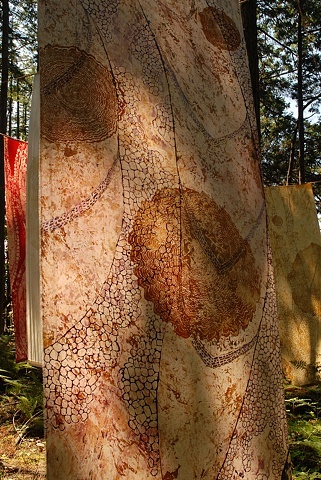 Outdoor installation of 12 silk panels bearing batik drawings. 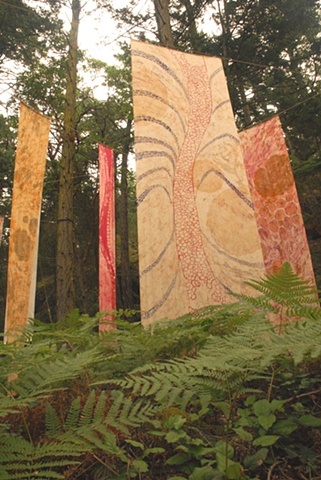 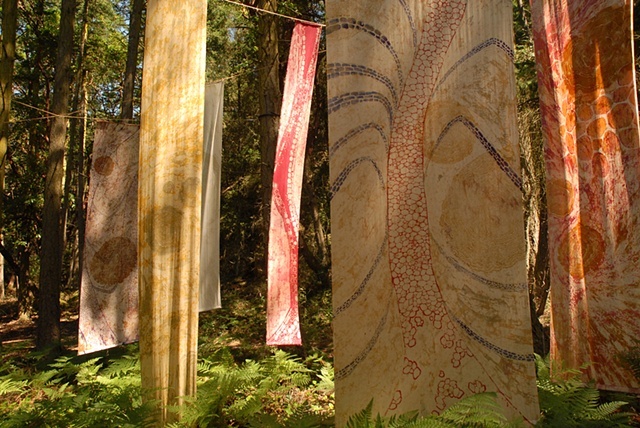 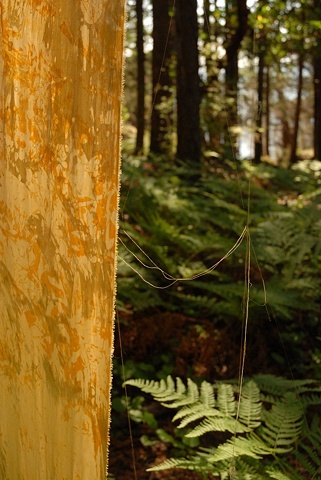 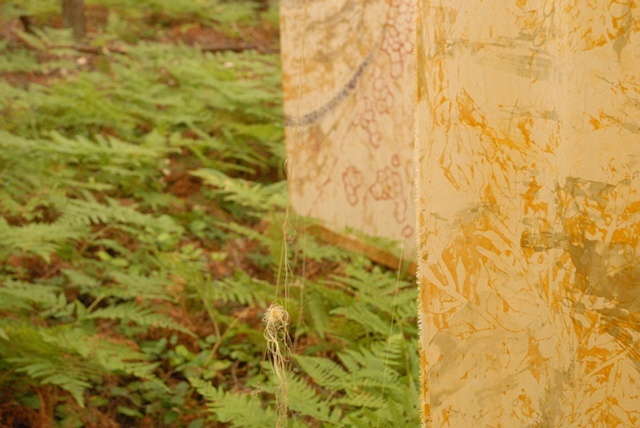 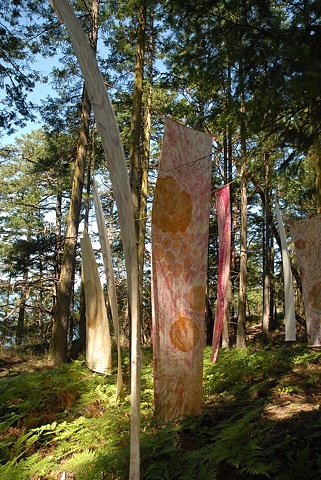 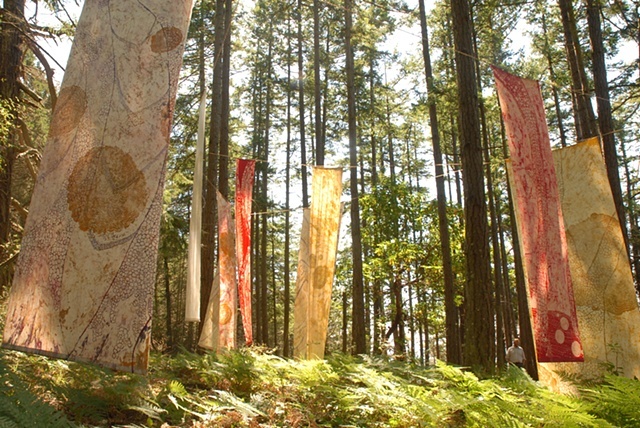 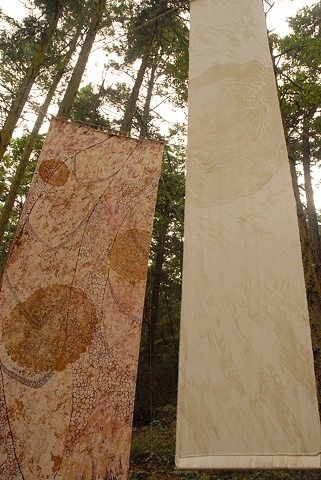 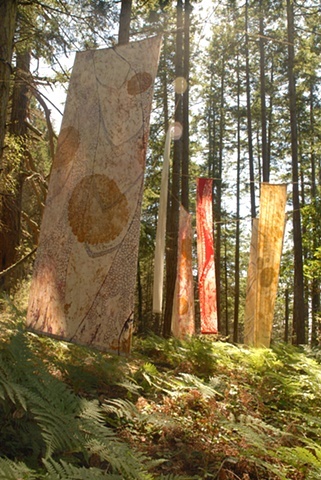 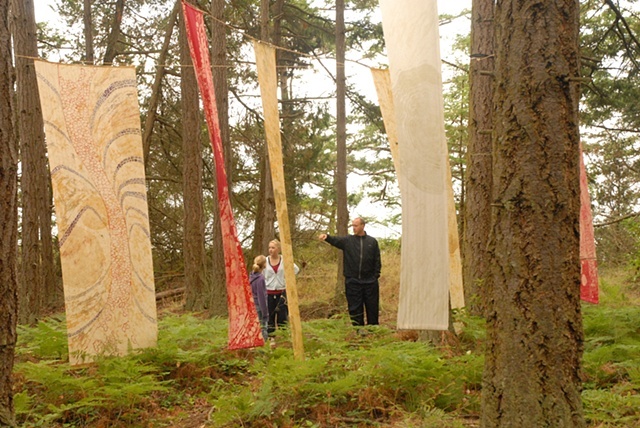 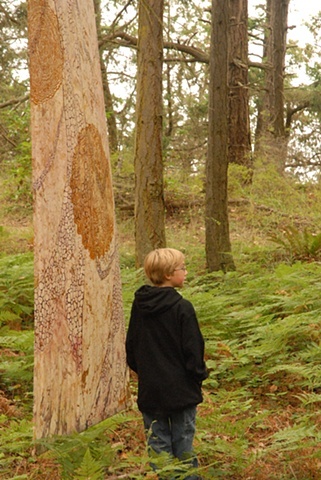 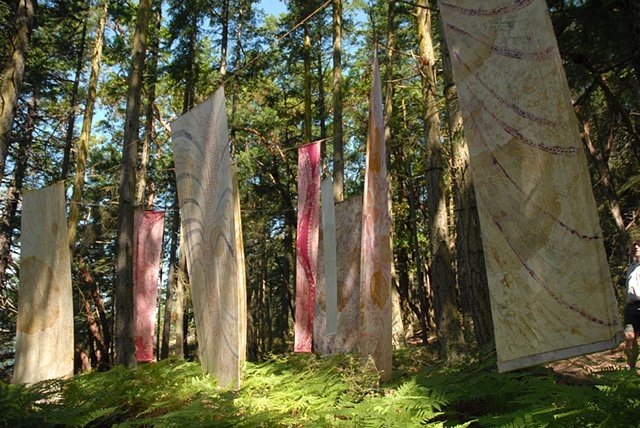 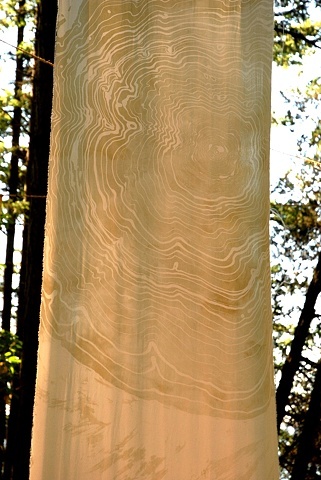 The panels are 12 feet tall and were exhibited in a clearing beneath a grove of tall trees in Washington Park in Anacortes, WA. 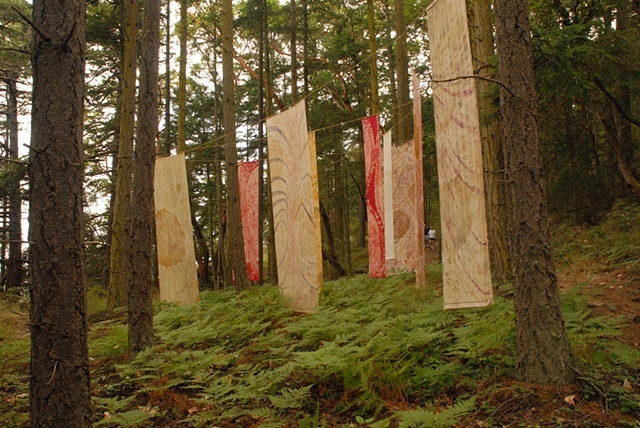 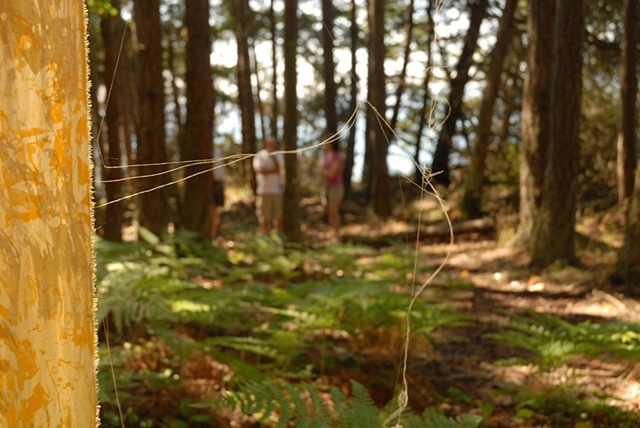 The production and installation of this work was funded by a grant from the Anacortes Arts Festival.